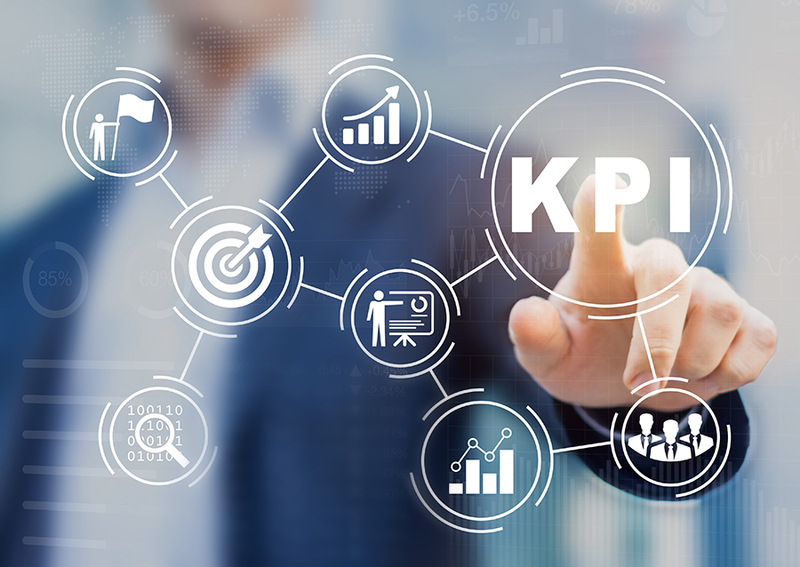 Streamline operations and improve your business processes by using NAVA MedQ. Discover how we can easily automate time-consuming tasks allowing you to focus more on what’s important. Creating schedules for physicians can be frustrating. Our smart scheduling algorithm allows users to manage complex rules and create schedules for the months ahead in just a matter of seconds. Once a physician schedule is created, managing appointments are easy! 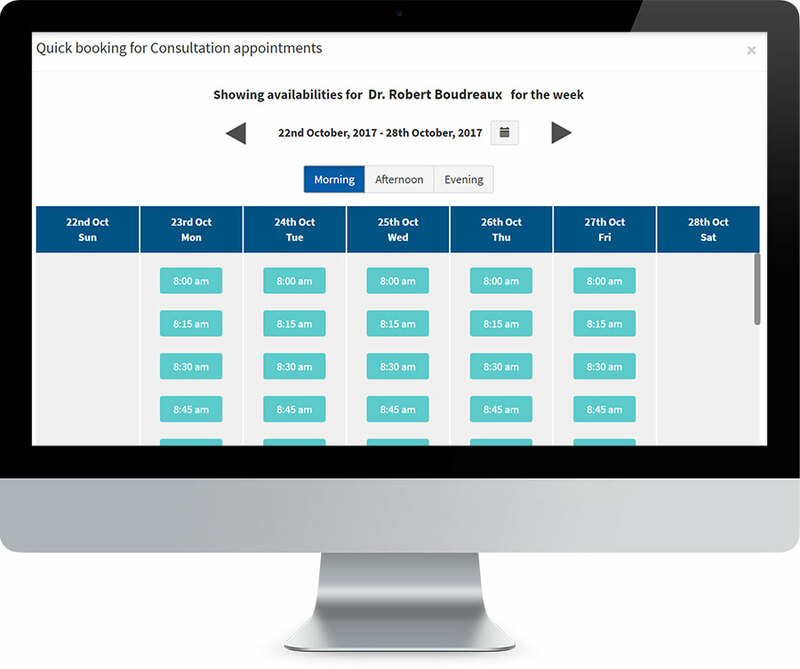 Our advanced scheduling system allows you to book, cancel or reschedule an appointment hassle-free. Our application can integrate with your EMR using APIs to keep the schedules in sync. By using our advanced management system, you’ll be able to easily automate time-consuming tasks by secretaries, nurses and doctors, saving you valuable time and money. 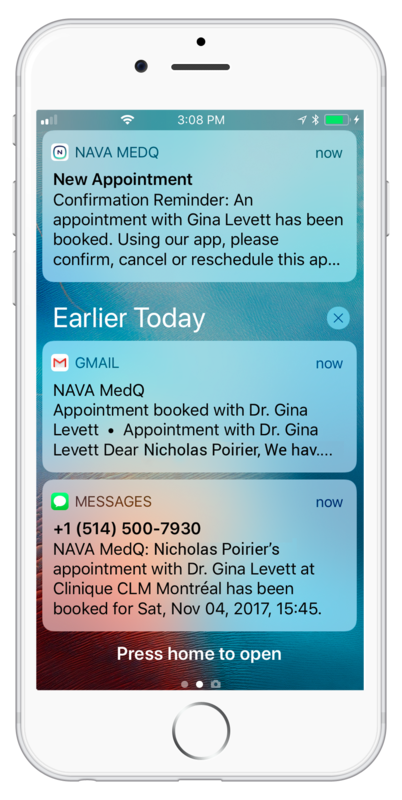 Notifications can be easily customized to meet the practitioner’s needs. Clinics can also manage the timing of notifications for appointment confirmations and reminders. 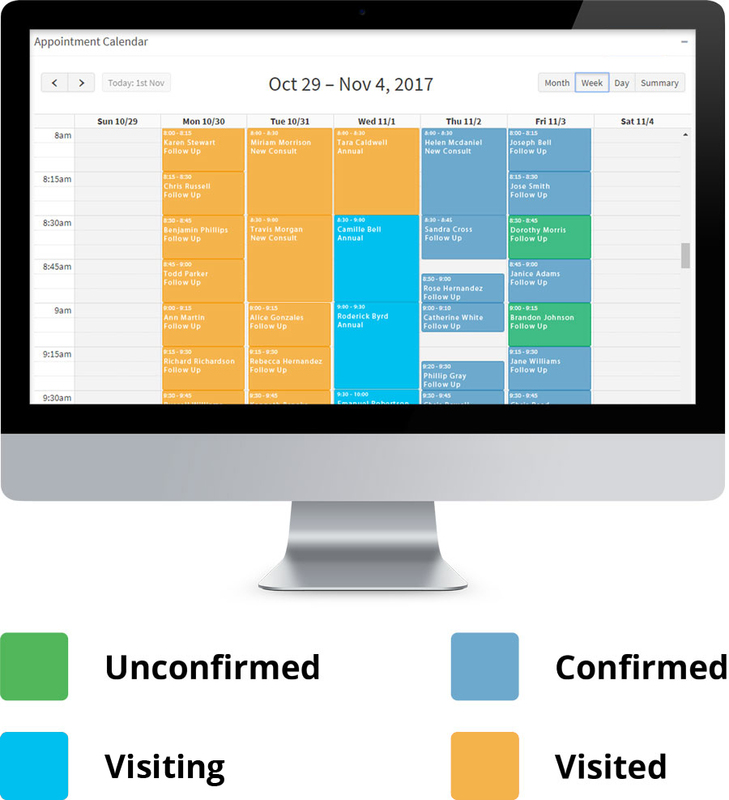 Appointment status is color coded to easily keep track of unconfirmed appointments. Our web and mobile application improve patient communications and wait time management creating a delighted patient experience. Patients can choose their preferred method of communication (in-app, email or text message) to confirm appointments. Using our web or mobile application, patients can self-check in to their appointments eliminating the long line ups and time to check in patients.